Panama disease is a fungal infection caused by Fusarium oxysporum f. sp. cubense that infects Cavendish bananas through its root system, resulting in plant rot and death. The disease is spreading and it is predicted that within the near future, the most widely consumed banana will become extinct. Our goal is to engineer Bacillus amyloliquefaciens, a soil bacterium, to produce an antifungal protein in order to defend the banana plant against infection. Panama disease, caused by the soil fungus Fusarium oxysporum f. sp. cubense, has been ravaging Cavendish banana plantations. Current methods of control and treatment involve using chemicals so toxic that they are prohibited almost everywhere . Clearly, this is not a sustainable and feasible solution to the problem. Additionally, once soil has been infected by the fungus, it will remain unusable for decades as spores produced by the fungus can germinate after many years, infect the plant, and kill it. As a result, plantations are losing thousands of hectares of land a year. The Cavendish banana serves as a source of food and nutrition to much of the world, and if a solution is not devised quickly, we may lose it forever. Biological control, which is the treatment of diseased soil with living organisms, has shown great promise against this disease . One organism, Bacillus amyloliquefaciens, not only lives in banana soil, but also naturally synthesizes chemicals that inhibit fungal growth and improve banana health. While extremely powerful, this bacteria does not have the capability just yet to kill the fungus. This is why we are focusing on the TLP protein from rice, which has shown high efficacy against F. oxysporum . By transforming B. amyloliquefaciens to produce this TLP protein in coordination with the compounds it naturally produces, we hope to improve the ability of the bacteria to protect the banana plant. Our first goal is to create a plasmid that can not only produce TLP, but does so once it senses the fungus. For proof of concept, we will first transform this plasmid into E. coli to do initial testing on the effectiveness of the TLP against the Fusarium fungus. If all goes well, we plan on then transforming the plasmid into Bacillus subtilis, before finally transforming B. amyloliquefaciens. We expect fungal inhibition levels to be even higher with this transformed bacteria and hope to support this with more testing. Throughout the rest of the summer, we hope to share our progress and significant lab results with our backers. All of the funds will go toward the development and testing of our project. The desired DNA sequences for our plasmid will need to be synthesized by a supplier. In addition, much of our work involves transforming competent cell strains with our plasmid. Lab supplies such as enzymes, various kits, and broth are fundamental to the assembly of the many parts of our plasmid and the growth of the bacteria that possess this plasmid. Finally, in order to confirm that the plasmid that we have produced is actually the product that we want, we must send our parts in for DNA sequencing. These sequencing reactions are sent to a test facility and are absolutely crucial in the progression of our project. The UMaryland iGEM team has seized on the important challenge of crop protection against pathogens. Their approach of applying engineering principles to this complex biological problem is innovative and will advance the field of synthetic biology. They are a talented, committed and resourceful group and have an exceptionally bright future. The team and this project is very worthy of financial support. The UMaryland iGEM team has a history of developing innovative synthetic biology approaches to solve important societal problems. Engineered bacteria that protect banana plants against fungal attack could be part of a multifaceted strategy for saving this vital crop. The iGEM team is a diverse, dedicated, and versatile group, and they have already made significant progress. Helping to fund their experiments also helps all of them develop into committed citizen scientists. We will be presenting our project at the 2017 iGEM Jamboree in Boston on November 9th. We are a team of 26 undergraduate researchers majoring in biochemistry, microbiology, neurobiology, bioengineering, and computer science. I am a rising sophomore at the University of Maryland College Park currently seeking a double degree in biochemistry and microbiology. This summer, I am conducting research with the UMaryland iGEM team. After graduation, I am seeking an MD, but hope to continue research as well. 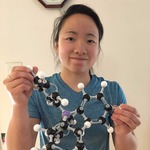 I am a rising sophomore majoring in Physiology and Neurobiology at the University of Maryland, College Park and a member of the university's iGEM team. My future career goals include attaining an MD-PhD in immunology. In my free time I enjoy backpacking, mountain biking, and listening to music. I am a senior, and this is my 3rd year on the iGEM Team. I am currently applying to MD/PhD programs and hope to conduct and apply biomedical research in the future. 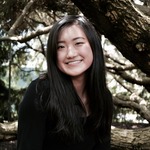 I am a junior in the Integrated Life Sciences Honors college at the University of Maryland, College Park, where I am majoring in Physiology and Neurobiology and minoring in Piano Performance. I am a past member of the UMaryland iGEM team and served as the photographer of the team last year and possibly this year. I hope to become a physician in the future. In my free time I enjoy music, painting, and going to the gym. 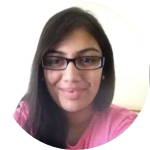 I am a rising junior at the University of Maryland, College Park, majoring in Biochemistry and Cell Biology. This year, I am leading the hardware and website projects, as well as managing outreach for UMaryland iGEM. I am looking to apply to MD/PhD programs to help bring new therapeutics to the clinic. In the few moments when I'm not in the lab, I like to practice piano, watch KDrama, and bike on the trails. 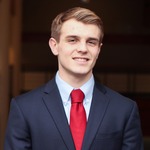 I am a rising junior in the University Honors Program at the University of Maryland, majoring in Bioengineering on the Therapeutics Engineering and Biotechnology track. 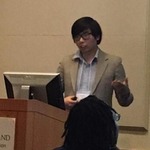 I am a researcher on the UMaryland iGEM team and aid in the various projects that are being developed. I hope to enter the biopharmaceutical industry after graduation and then eventually pursue a Master's Degree. In my free time I enjoy relaxing, enjoying new foods, and dancing. 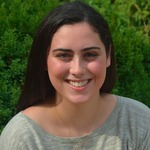 I am a rising junior at the University of Maryland, College Park majoring in Physiology and Neurobiology. As a member of the UMaryland iGEM team, I am focused on fulfilling our human practices through educational workshops at local high schools. Post-graduation, I hope to work towards an MD. Outside of lab, I enjoy analyzing literature and philosophy. I am a rising Junior at the University of Maryland, College Park. Currently I am studying Biochemistry and Microbiology. 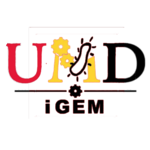 I have been a member of the UMaryland iGEM team for the past two summers and am currently serving as the lab manager/vice president. 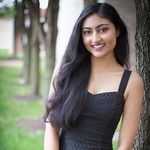 I am a rising Junior at the University of Maryland, College Park, majoring in Bioengineering with a concentration in Biotechnology and Therapeutics Engineering. After graduating from UMD, I plan to pursue a PhD in Biophysics or Molecular Biology. This summer, I am working as a lab member and as a project developer on the UMaryland iGEM team. In my free time I enjoy running, hiking, and hanging out with friends. 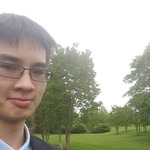 I am a rising senior Bioengineering student at the University of Maryland in College Park. After graduating I hope to enter industry and work with biomedical instrumentation. Outside of lab I enjoy hiking, long walks on the beach, and just about anything outdoors. 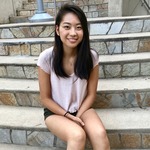 I am a rising sophomore at the University of Maryland, College Park, majoring in Neurobiology and Physiology. This summer, I am a lab member for the UMaryland iGEM team. After graduating from UMD, I'd like to pursue an MD. In my free time, I enjoy watching movies, spending time with my dog, and going to the gym. 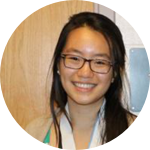 I am a rising junior Bioengineering major at the University of Maryland, College Park. This summer I am working alongside other members in designing our project. I am interested in getting a Master's degree in education and becoming a high school science teacher. My out of school hobbies include running, learning guitar, and playing with my dog. I am a rising Senior at the University of Maryland, College Park studying Bioengineering with a specialization in Biomechanics & Biomaterials. Moving forward, I am hoping to enter a Masters/PhD bioengineering program focusing on biomaterials used in drug delivery mechanisms as well as molecular dynamics modeling. 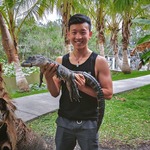 In my free time, I like to go urban exploring, biking and swimming. I am a rising junior in the Honors College at the University of Maryland, pursuing a degree in bioengineering for pre-health. I have predominantly worked with managing finances for the iGEM team this year. I have worked with a biomedical device company in the past, and I am currently doing research with a biophysics lab as well. 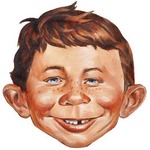 I'm also the president of an a cappella group and I enjoy soccer and playing the piano. 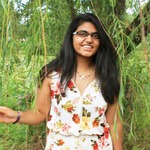 I am a rising sophomore who is majoring in Biology with a minor in Religious Studies. This is my first year on the UMaryland iGEM team! 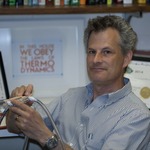 In addition to my passion for synthetic biology, I am an avid writer and opinion columnist for the Diamondback Newspaper. I also help with behavioral inhibition research at UMD's Child Development Lab. During my free time I enjoy traveling and watching true crime documentaries.